Mazel Vyas is the child actress known for her roles in the films Wazir (2016) and TV shows Saath Nibhaana Sathiya and Meri Saasu Maa. Mazel was born in a traditional Gujrati family in Vadodara. She was born on 28 October in Vadodara and had her schooling there in a reputed Tejas Vidyalaya school. She has also studied Seven Square Academy, Mira- Bhayandar school.Her parents are Sunil Vyas and Purvi Vyas. She shifted to Mumbai as her father is a professional Tennis Coach there. 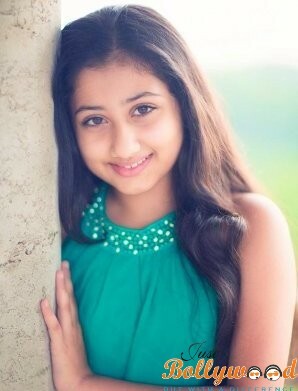 She was chosen by the Star Plus production house to play the role of grand- daughter in the show Saath Nibhana Saathiya. She was a part of this popular show from 2014-15. She got the opportunity to audition for the role of Ruhi in Vidhu Vinod Chopra’s Wazir. She excelled in the role and was cast it. In the film, her role is small as she is murdered by the goons early in the film. Although it was a small role, Mazel got recognition for her work. Mazel’s father is a Tennis Coach and so she is also good at the sport. She likes to practice with her father’s students. Her hobbies are dancing and playing Tennis. Following her work in the film Wazir, she was cast in the role of Arpita in the show Meri Saasu Maa. For her pretty appearance the actress is quite popular among the TV audience. Mazel says her favorite actors are Farhan Akhtar and Alia Bhatt.